R&R Manufacturing has been producing durable residential mailbox products for over 30 years! The PostBoxx plastic mailbox is our latest design. Durable, weather resistant, and attractive this mail box is designed to fill an often requested need. 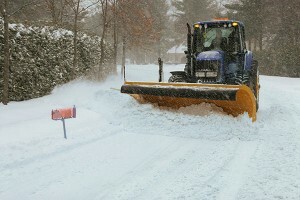 Residential home owners, lake or second home owners, and rural customers especially from many Northern and Eastern New England states had been asking us for years if we had a pedestal mailbox that could withstand the harsh winter’s damage produced by snow plows. Rural and residential customers often found during their spring cleanup damage to their existing mailboxes from the long winters also. Additionally, many rural mailboxes were being damaged seasonally, especially around Halloween, from vandals. Tired of their mailboxes getting smashed or driven over, we developed a nearly indestructible post office mail box to fill the many requests we received. Postboxx plastic mail boxes were developed, and we immediately began filling orders in New York, New Hampshire, Connecticut, Vermont, Michigan, Minnesota, Iowa, Kansas, and many farming communities across the United States. These mailboxes are available in six weather resistant colors and are elegant enough for any home. Engineered to withstand impact without separating, our Free Standing PostBoxx mailboxes have no sharp corners to damage, scratch, or injure. They are approved to meet the U.S.P.S and Postmaster General guidelines. Our Post Boxx mailbox is elegant, durable, and as simple as 1, 2, 3 to install. Simply Buy it, Fill it, and place it. No post hole digging, no cement, no post needed. With our six mailbox color options and curbside appeal if you compare pricing to the traditional above ground mailbox, you can see why this vertical plastic mail box is the best choice, in fact they’re portable too! Quality: Our free standing plastic mailbox is constructed out of heavy impact resistant polyethylene. The Postboxx Mailbox is durable enough to provide years of service in the harshest climates, no painting required. Appearance: Our commitment is to produce mailbox products that will give any residential or rural homeowner a great “first impression”. Choose from our six color options. Convenience: These residential mailboxes are designed to be extremely simple to assemble and install. No special tools are required, just add sand or gravel to the hollow pedestal and the installation of your above ground Post box can be completed in minutes. Value: Our deluxe plastic postal mailbox product is one of the most affordable on the market. Why by a post, cement, and dig a hole when you don’t need to? This above ground mailbox is manufactured using only the highest quality materials. If you accidently back into it –simply set it back upright without damage to the mailbox or your vehicle.